How SHOULD we generate electricity? In our world, there are a variety of different ways to generate electricity. In order to generate electricity, the energy sources needed are categorized into 2 groups; renewable and nonrenewable energy sources. Renewable energy sources are energy sources that only takes a short amount of time for it to be produced whereas nonrenewable energy sources can take up to millions of years to be produced. But can we just choose the cheapest, easiest and the most efficient way to generate electricity and then use as much as we want? It is not a good idea because our methods of extracting different energy sources can cause the earth to change in a variety of ways. 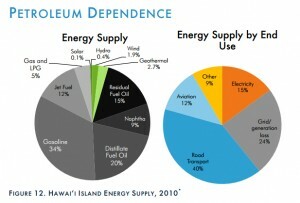 The use of these energy sources should be kept to a minimum since most are nonrenewable. Examples of non-renewable energy sources are: fossil fuel, coal, nuclear, petroleum, natural gas, etc. These can pollute the environment and damage it severely. Examples of renewable energy are geothermal, solar, hydro, wind, etc. All of these except for geothermal are Eco-friendly. 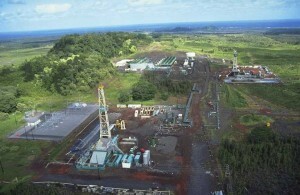 I, along with 8 others went to listen to a presentation on geothermal energy by Geoff Last, of Puna Pono Alliance. Geoff gave us a lot of information about how geothermal electricity is generated. He told us about how the gas it emits is highly toxic to all living creatures. In geothermal power plants, it is very often that there are gas leaks that is rarely ever repaired. This gas has killed many animals and once that happens, the whole ecosystem around has been damaged. This can cause species to become extinct, especially in Hawaii where there are many endangered species. Geothermal gas can also harm humans; it is very often that people living nearby get cancer. 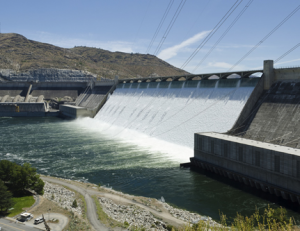 The only environmentally friendly energy sources are: hydro, wind and solar. Many people are now working on building more of these generators. How can we make sure that our environment isn’t damaged by our need for electricity? Where I live, Tokyo, is a very large city. This city uses about 164,383 kilowatts of electricity in a day! While we are still working on creating more renewable energy source power plants, we should all work on using the least amount of electricity as possible since in the end, how much electricity each person uses can affect the amount of electricity in the whole world. There are many ways for us all to reduce the amount of electricity we use. We could turn off all electricity using devices when not necessary. The light bulbs in people’s houses can also be changed into energy efficient types such as compact fluorescent bulbs or LED bulbs. 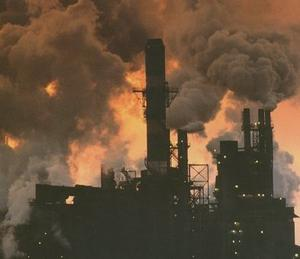 Hopefully we can reduce the damage to our planet by using our energy more efficiently. By Ian W., from Tokyo, Japan. HOI Ahupua’a Environmental Science class, 2014.